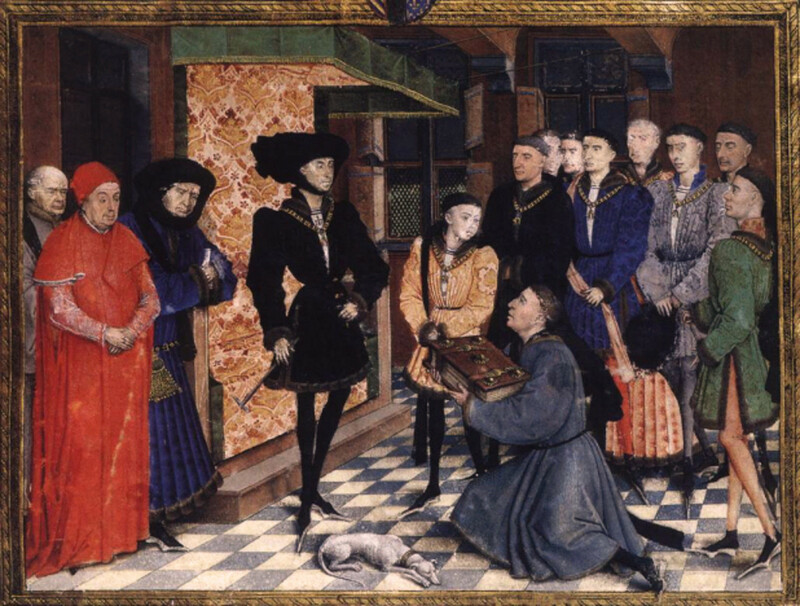 In the High and Late Middle Ages, European clothing began to evolve into what we think of today as fashion. The cut, shape, style, and decoration of clothing changed at a much faster pace than in the Early Middle Ages (sometimes known as the Dark Ages). While we think of fashion changes occurring from year to year, the clothing designs of the Late Middle Ages changed from generation to generation. The Crusades and the adventures of Marco Polo introduced new cultural influences, fabrics, and technological advances to medieval European garments. The spinning wheel replaced the distaff (a hand held spindle), and the horizontal loom with foot treadles and shuttle simplified the production of textiles and clothing. Increased production encouraged increased consumption of textile products and clothing resulting in the beautiful costumes we associate with medieval Europe. Trade improved. Attractive clothing became more available and affordable and the emerging middle class began to emulate the styles of the elite. Our knowledge of the costumes of the High and Late Middle Ages comes to us from the artwork of the era. People dressed in various clothing styles appear in stained glass, statues, drawings, and oil paintings. 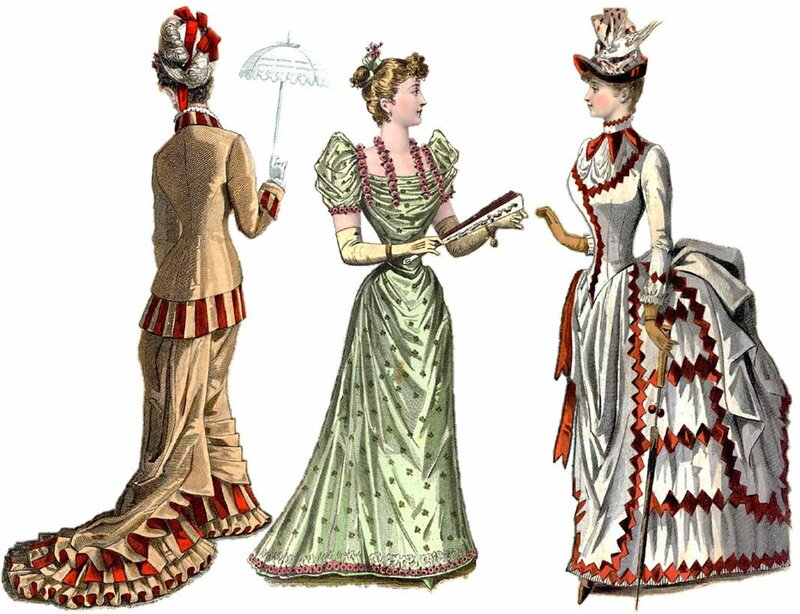 While there was (as is today) class stratification in clothing, and a garment displayed the social status of the wearer, the differences became less rigid. And while the Church still dictated the types of clothing worn especially by women, clever designers found ways to embellish clothing and add interesting touches. "It is not enough for you to show your pride in your very buttonholes; you must also send your feet to hell by special torments." Obviously, the wearing of clothing now meant more than comfort in this early pun ridiculing fashionable footwear. The goal of the Crusades was to liberate the Holy Land from Muslims who had taken control of the region. Men joined for religious reasons, to seek adventure, and opportunity. They brought back new fabrics like velvet as well as new clothing styles and designs. Civilians incorporated the new foreign styles as well as military elements into the manufacture of garments. The shape and fit of garments changed. Where tunics previously hung lose and undefined, both men's tunics and women's gowns fit more closely to the body, increasing both warmth and style. Gowns closely followed the lines of the body from shoulder to below the waist with a separate and fuller skirt sewn to the bodice. Sleeves widened toward a bell shape. The longer sleeve of the under tunic elongated with such exaggeration that the hems of the bottom part of the sleeve sometimes reached the ground. The under tunic, now called a chemise, was a long garment made of linen. A pelisson was worn over the chemise. Over the pelisson went a bliaut or loose blouse that could be tightly laced for outings or for welcoming guests. Jeweled girdles were worn by the elite. A woman carried a small purse that hung from her belt. 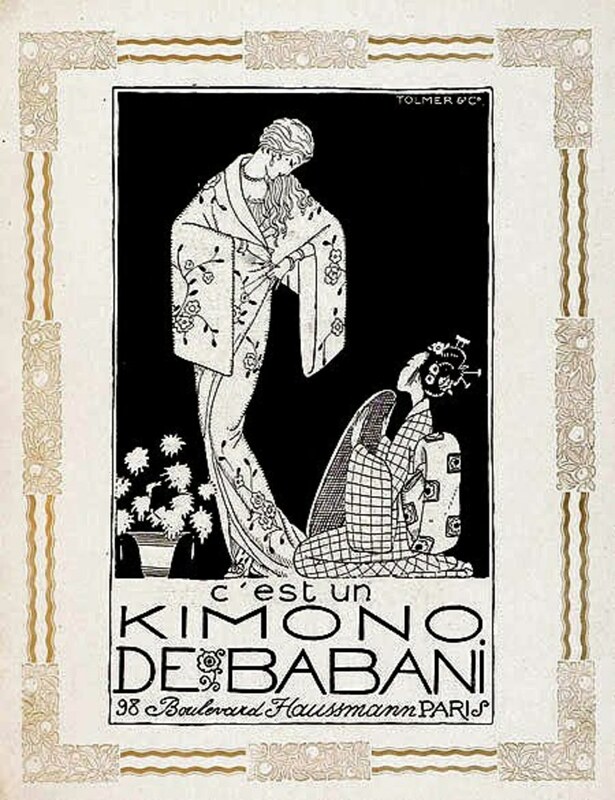 Women wore gloves and wove flowers in their hair. The veil became more ornate and evolved into elaborate headdresses. And while the Church still insisted that women wear veils for modesty, the veils became sheer, made of fine muslin or silk. Veils were trimmed with decorative borders or were interwoven with metallic thread. 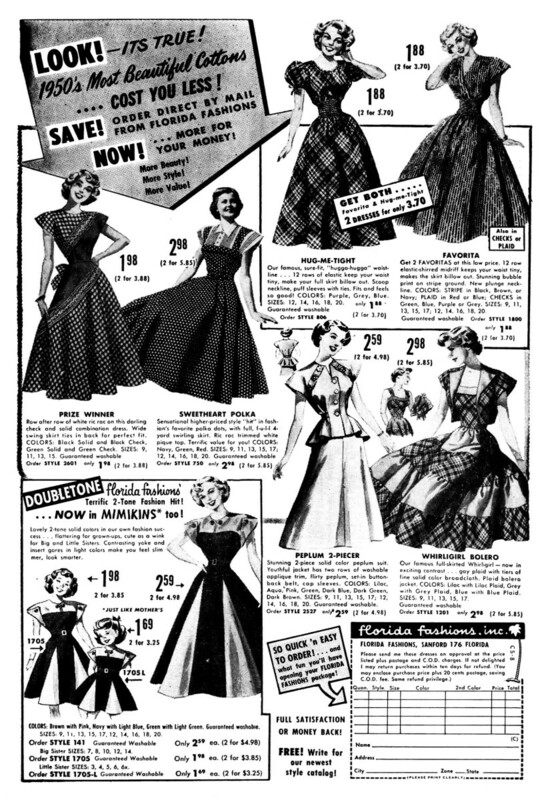 As the types of clothing styles increased, so did the names of these designs. 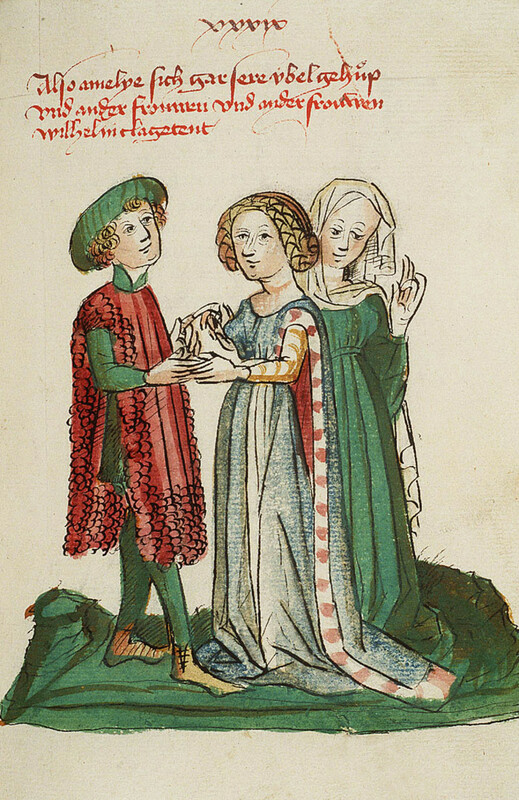 The following are terms and names of fashionable medieval garments. Cote - the under tunic came to be called a cote. Dyed in bright colors that were attractively revealed by slashing the fabric of the outer tunic, or surcote, to create a beautiful look. Houppelande - The houppelande of 1380 was a beautiful, full length robe like garment featuring a high collar and wide sleeves. Later, the full sleeves tightened at the wrist. The houppelande fell in folds into a bell shape. Women wore this style in the late 1300's and men adapted the look in the 1400's. The houppelande would often feature fur trim. Cote Hardie - a 14th century style that buttoned in the front. The low waist and fitted bodice had tight sleeves that ended at the elbow and long extensions draped at the back of the sleeve. The bodice was sewn to a skirt. The High and Late Middle Ages saw the increased use of buttons. Previous buttons had been for adornment only, but now they became functional. Trousers wrapped with leather or cloth strips below the knee in the Early Middle Ages gave way to the wearing of hose. While men still wore tunics and over tunics, in 1066, the way they wore them changed. Men wore either a loose belted tunic or a tighter, more form fitting one. A form fitting tunic featured slits in the skirt to allow ease of leg movement. 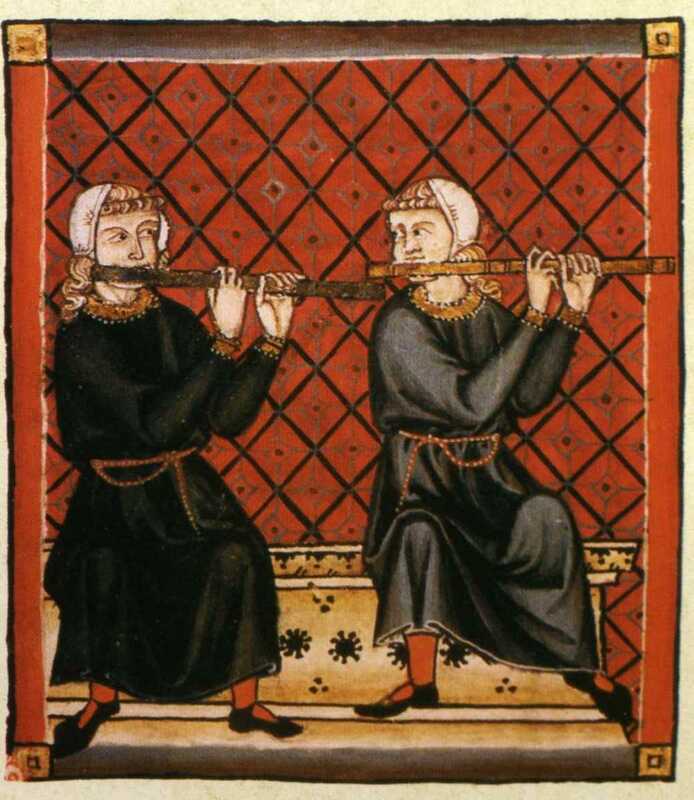 The 1200's saw a rise in what we might call fashion, or even fads. Where once clothing had been entirely functional, designs featuring gimmicky or quirky elements grew in popularity. 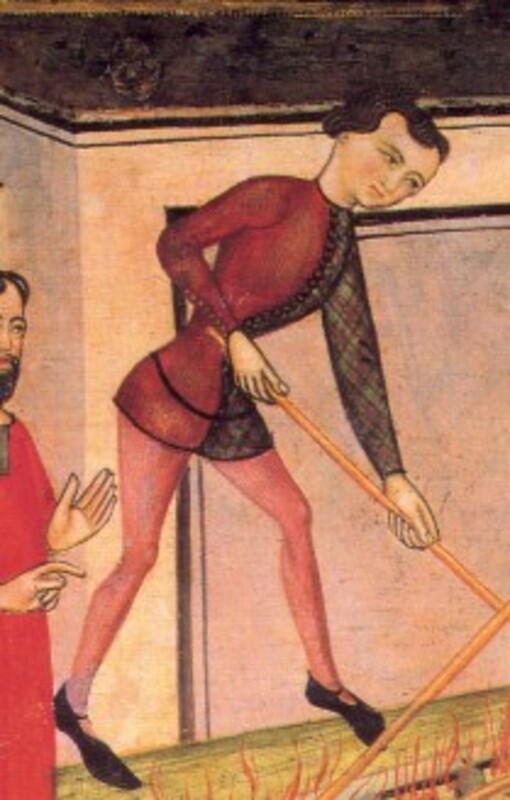 The 13th century saw shoes grow long, pointy toes. The toes were soft, though later stuffed with moss for firmness. Toe length achieved such exaggeration, that the government set out rules describing how long the toe of the shoe could be depending on a person's station in life. Hoods grew extra fabric and were slightly longer than necessary. Veils and other fabrics made of fine silk imported from the Far East were interwoven with golden thread for a shimmering effect. The wimple, a style brought back from the Middle East during the Crusades caught on. A wimple is a piece of cloth worn over the head and around the face and neck. A wimple would be worn under a veil called a couverchef. The style can still bee seen today on some Muslim women and on a few Catholic nuns, though not as ornate as the stylish wimples of the Late Middle Ages. Although a wimple was a garment used for modesty, women in the upper classes decorated their wimples and added padded rolls of fabric to create interest. Women began to take a great interest in head gear, and the fashions of the High and Late Middle Ages became ornate and wildly ostentatious. The wimple and padded roll could be topped with elaborate structures supported by wire frames. A horn like style created with hair and supports became wildly popular. 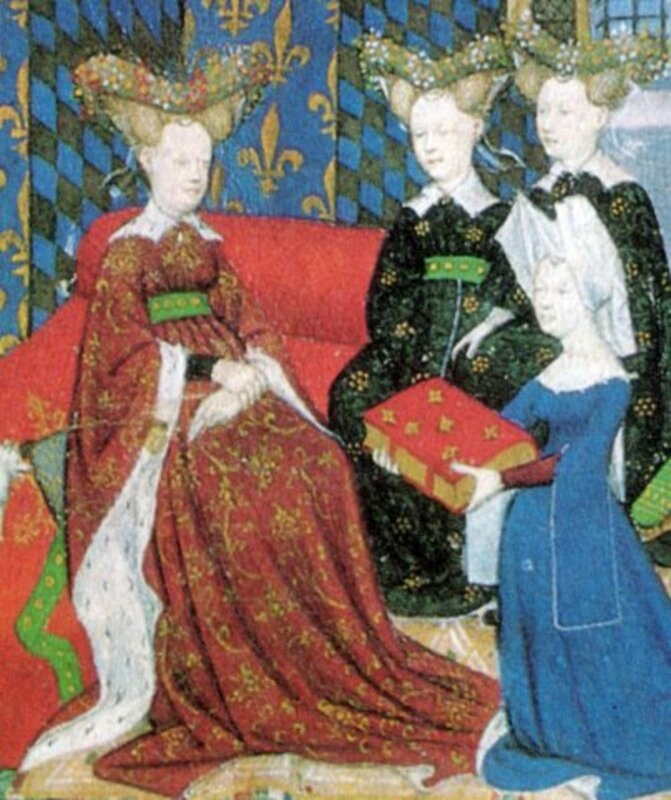 The more ornate head gear was worn by the aristocracy of the Middle Ages who sometimes shaved their hairlines to create the illusion of a high forehead. Eyebrows were plucked or partially shaved as well. Men wore many types of hates and head gear. The sugar loaf hat was a tallish, conical hat that resembled an inverted flower pot. 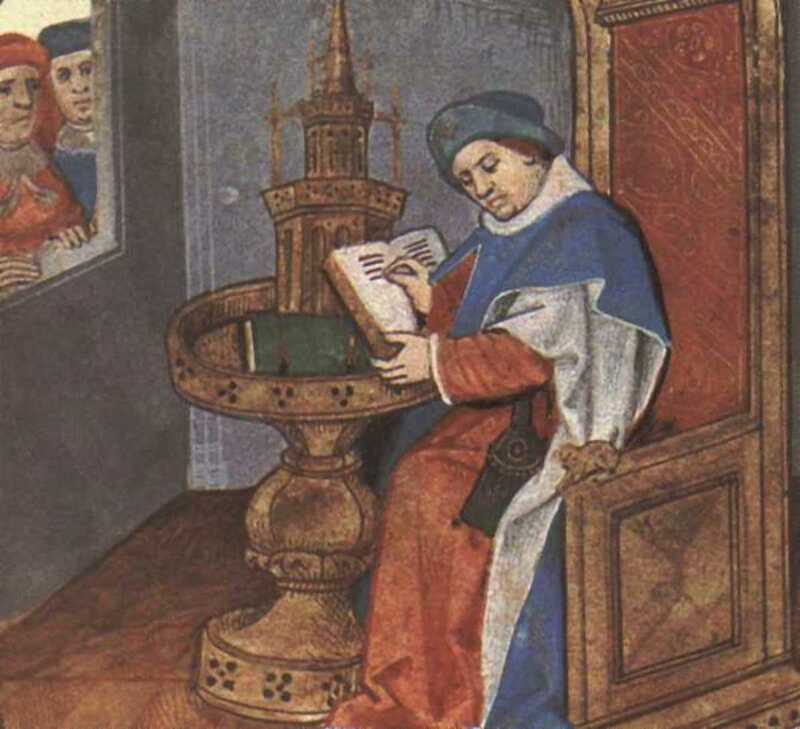 The flat,mortar board type hat we associate with graduation emerged in the 14th century, a style that evolved from the biretta, a similar type of hat worn by the clergy. 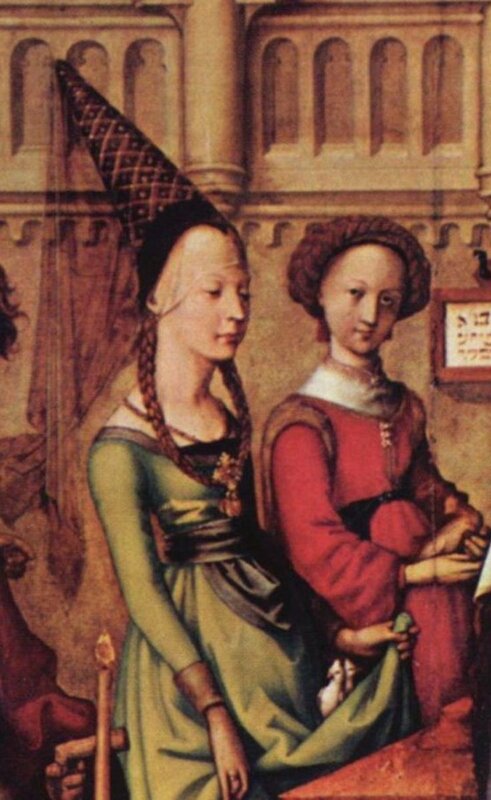 In the mid 1200's, Jews were forced to wear a pointed hat to distinguish them from the Christian populace. Previously, the style had been traditional garb but had fallen out of fashion in the community. The High Middle Ages began with a population explosion in Europe that took people back into the cities that had emptied out during the Dark Ages. But the Great Famine (brought on by cool temperatures and too much rain) of 1315 - 1317 decimated the population. The loss of feed, seeds, grains, and livestock led to mass starvation and it was not until 1325 that Europe recovered. Various rounds of bubonic plague or the Black Death between 1338 - 1375 further reduced the population of Europe. The recovery was slow, but out of this difficult time came new changes in the economy, society, and in clothing. 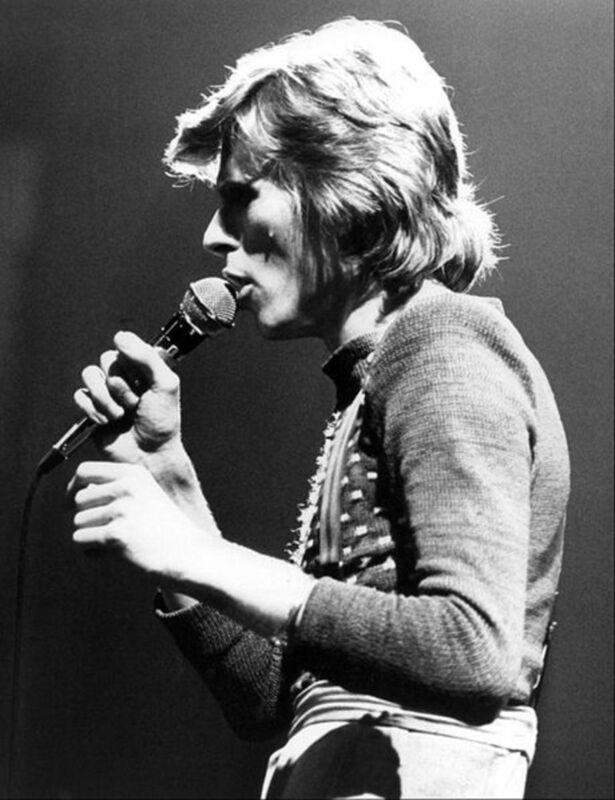 Waistlines rose and fell. Sleeve fullness shrank and grew. Patterns and designs appeared on textiles both woven in, embroidered, or printed on the fabric. Elaborately printed gowns in brocade or damask, silk or velvet featuring flowers, Oriental designs, artichokes, and pomegranates greatly enhanced women's gowns creating the beautiful costumes associated with medieval times. Head coverings changed frequently for both men and women and the tony set could be subject to ridicule if they appeared in something out of date. As society healed after the ordeals of the 14th Century, Europe became more prosperous. The fabulous clothing once restricted to royalty now became available and affordable for the merchant class and a new upwardly mobile urban middle class. Women's gowns became high waisted with a low cut V neck that showed a piece of contrasting fabric underneath. The V neck would be folded back to reveal an attractive lining. 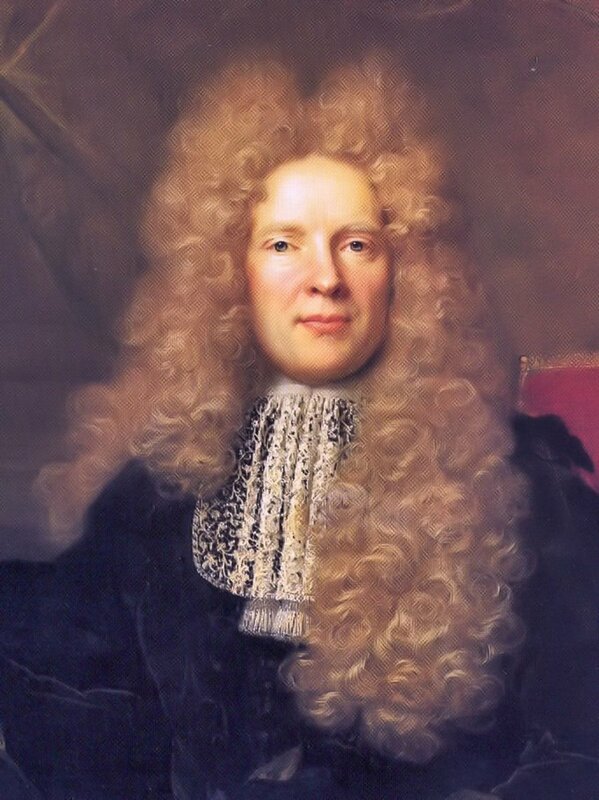 Long fitted sleeves developed cuffs in what was called Burgundian fashion. The over tunic men wore evolved into a doublet or a short skirted tunic. Slashings in the sleeves showed the under tunic which could be pulled through to create puffs of contrasting fabric and color. Trousers shortened with attacked hose with leather soles. 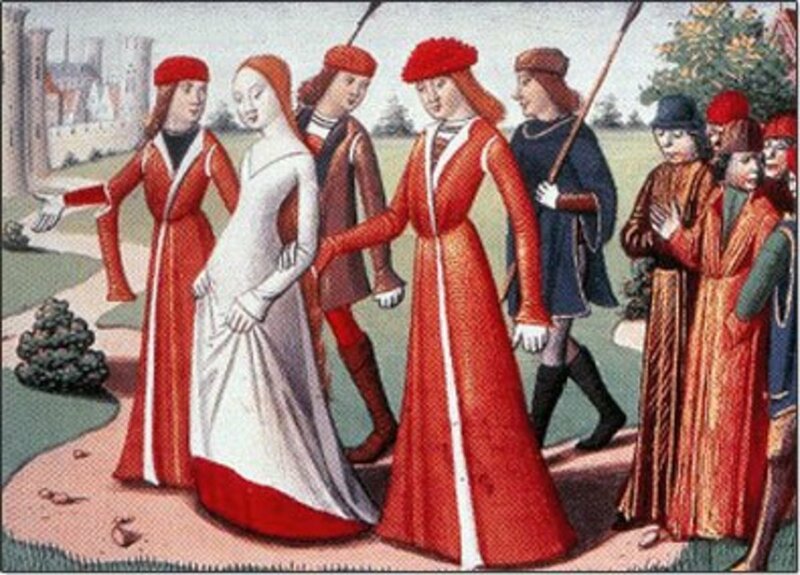 Fashions of the Late Middle Ages were influenced by the Gothic style, a look that accentuated slenderness and an elongated form for both men and women. The display of a coat of arms became popular as did parti-colored garments. In an unusual design, garments were made of two colors. Today, we mix colors horizontally, as in different colors in a shirt and pants or skirt. Parti-colored garments created a vertical color difference with a split vertical dividing line in the center of the body. The hennin and houppelande were Gothic styles emphasising the elongated form. In the 1450's, edges of outer garments were often decorated with dagging, edged with loose pieces of fabric that resembled leaves. As technology and trade advanced and the cities repopulated, nations grew. Gone were the warlords or feudal society. Kings grew more powerful and governments covered large areas. The time known as the Middle ages, the period after the Fall of Rome, ended as Western Europe moved into the period of artistic and cultural awakening that we call the Renaissance. Costume and Styles: The Evolution of Fashion From Early Egypt to the Present by Henny Harald Hansen: E.P. 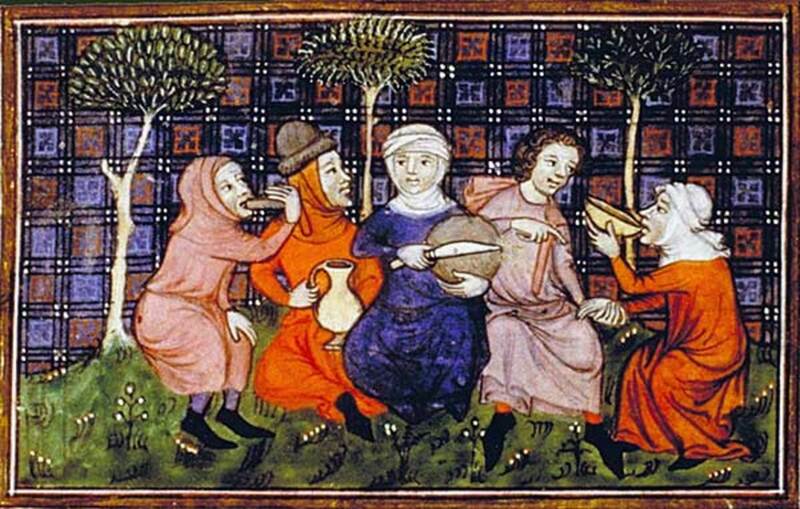 Dutton & Co.
What did peasants wear in the Middle Ages? Peasant clothing was similar to the clothing of the elite but made of cheaper materials with less dye or ornamentation. Clothing needed to ensure the peasant's ability to work. People owned few garments in those days, and a tunic could last a lifetime. Men and women wore tunics. Men wore them over stockings or tight breeches, women over long dresses. Tunics were made of hemp or coarse wool or linen. A tunic could be worn over a light linen shift. Linen could be coarse woven, purchased used, or handed down from an employer. Light linen shifts would be worn for field work in warm months. Belts worn by men and women could be used to hoist up the hems of their garments, or to hold purses and utility bags. They did not have pockets. Colors were dull as dye was expensive. Cheaper woad blue dye and some other red/orange dyes faded. Shoes and boots were made of leather or felt. 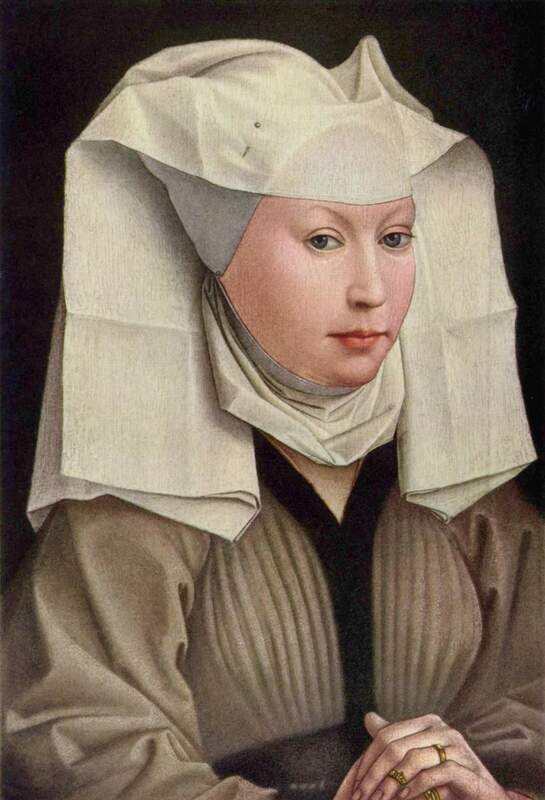 Women wore simple veils held in place by a band worn across the forehead. 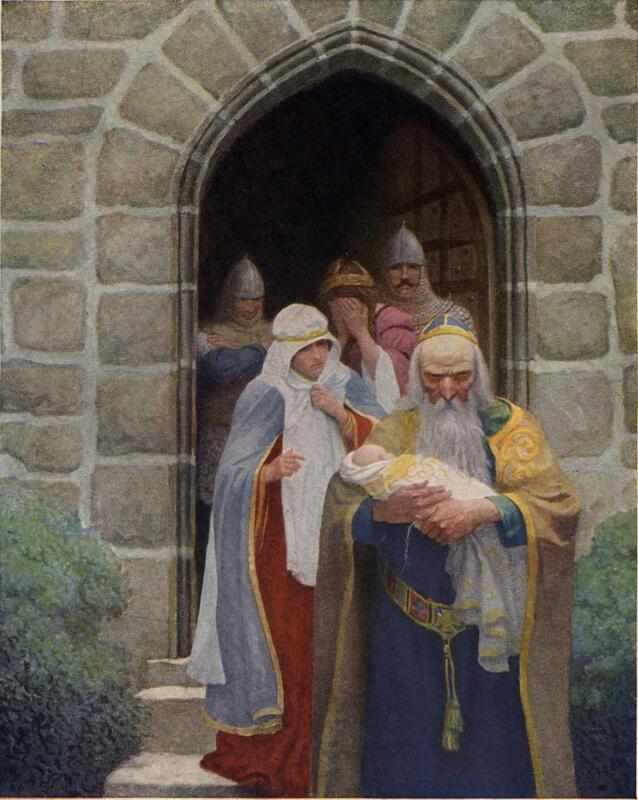 A coif was alinen or hemp close-fitting cap. A Capuchin was a hood attached to a cape. Straw hats protected peasants from the sun in warm weather. What People Wore When: A Complete Illustrated History of Costume from Ancient Times to the Nineteenth Century for Every Level of Society by Melissa Levinson. What did upper-class women wear during the Gothic period 1200-1450? The elite class dressed in a similar manner to the lower classes. 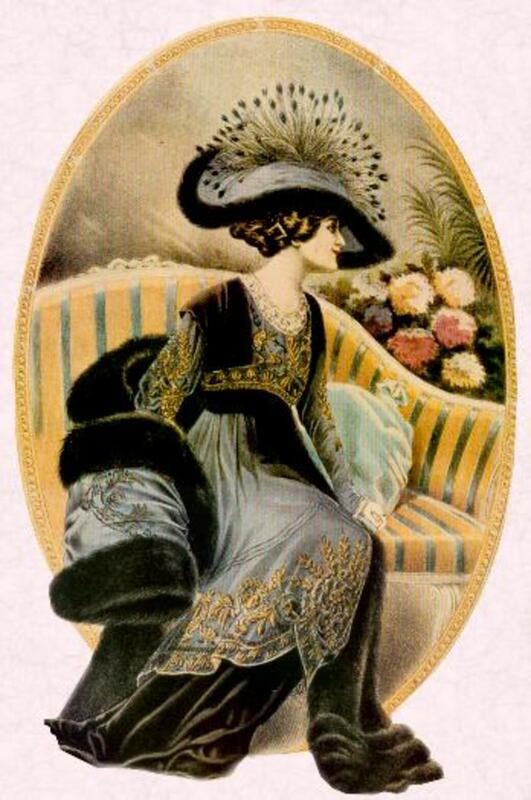 The big difference was in the materials used in clothing construction - luxurious fabrics like velvet, damask, and silk. Beautiful prints and vibrant colors as well as luxurious trim would make the difference between classes. The elite wore newer styles and textiles as well. Sumptuary laws often restricted what the newly wealthy could wear so the highest quality garments were restricted to royalty and nobility. 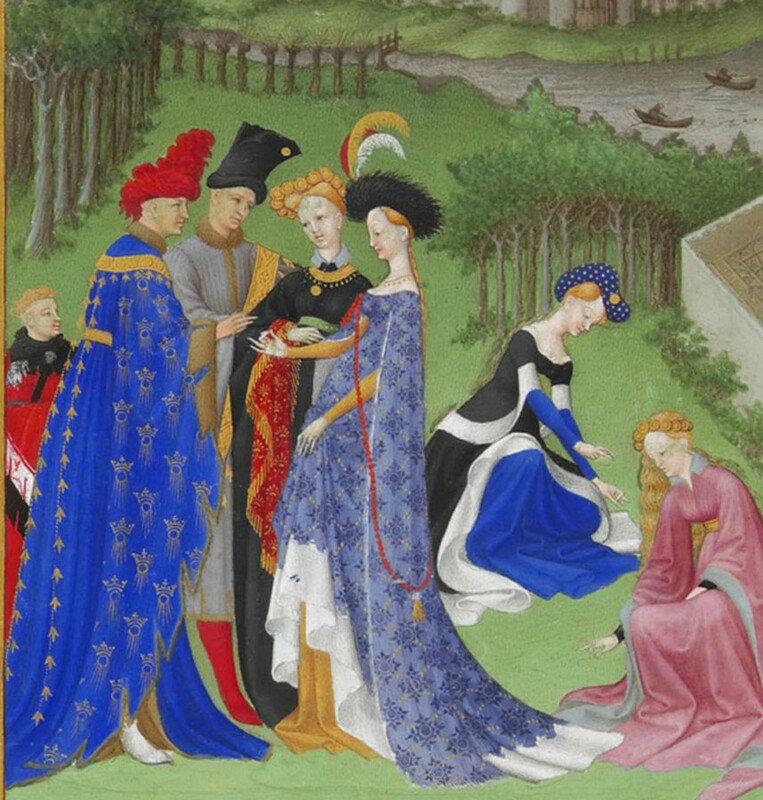 What impact did the 15th century fashion have on fashion now? Before the 15th century, people wore clothing that followed tradition, not fashion. Certain garment styles were worn for hundreds of years with little change. Luxury was restricted by economic and social dictates to royalty and the noble class. But newly wealthy merchants were, during this time, able to spend more money on clothing. Dressing well reflected a person's status. Where before status was conveyed by birth, it began to reflect wealth. Sumptuary laws reflect the fear of the ruling class - commoners now claimed an elite status that the nobility saw as a birthright. People became wealthy by producing and trading in textiles and wore those fine fabrics as proof of their success. New changes in styles became popular as people vied for novel new looks. What we think of as fashion fads sent people on spending sprees for new duds. In fact, some of the sumptuary laws reflected a concern that people would financially ruin themselves by spending all their money on clothing. The changes in fashion, the concept of new styles, and the idea that status came from wealth instead of birthright changed how people viewed their wardrobes forever. Hi Moxie - I've been researching historic costume and writing these simple overviews to help people imagine how people (mostly women) dressed when they are reading historic novels. If you are actually writing one, you should plunge into some deeper research. Locate some books on the subject. There are many used books on historic costume available for purchase online, often used for bargain prices. There are many out there but I would recommend one with lots of pictures so that you can create a mental image of how people dressed at that time. Good luck! 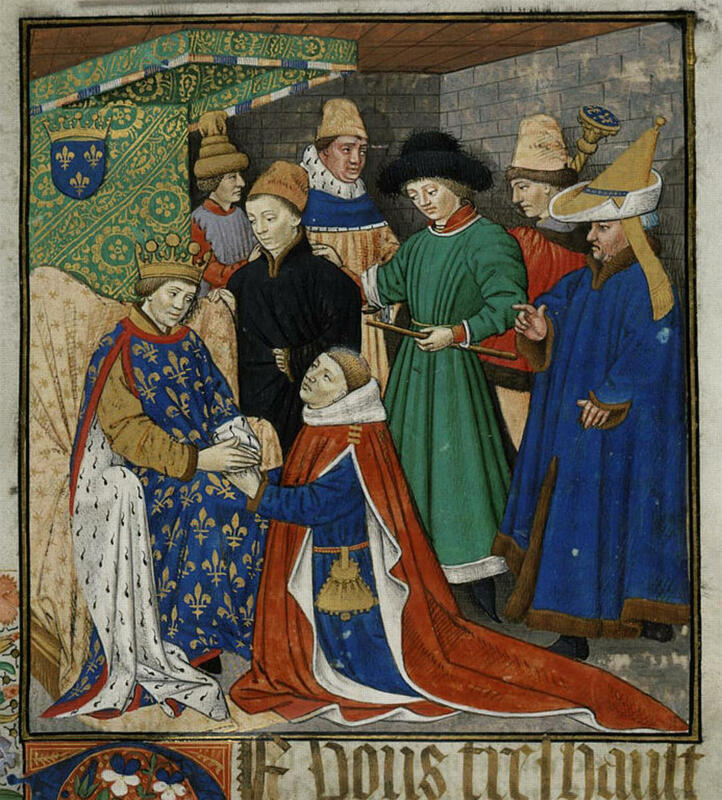 These articles on Middle Ages fashion have been SO SO helpful as I've been working on my novel! 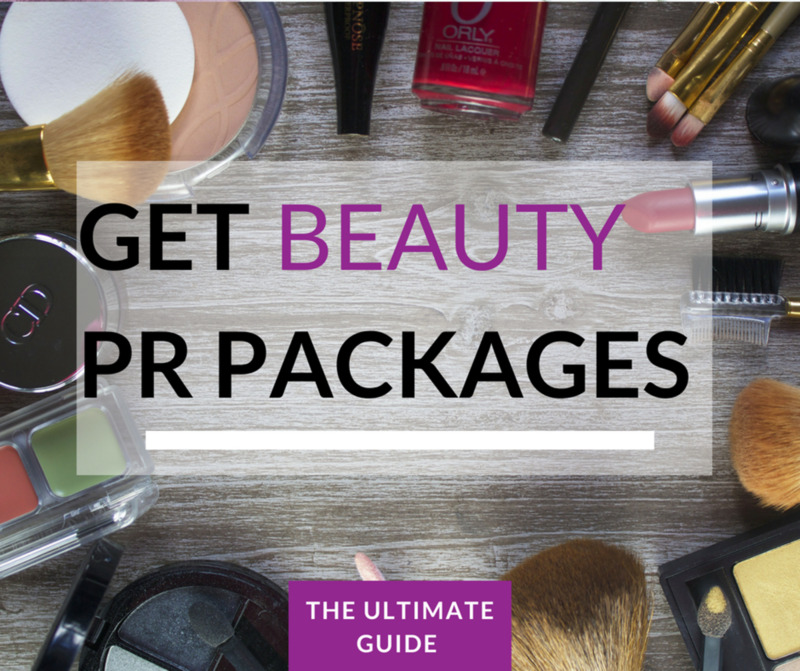 It goes through a lot of time periods, so I'll definitely be checking back here for more! I absolutely love the reference images, because they make description so much easier! Keep up the great work, thank you so much! I know you posted this a while ago, but do you have any details on 1300's fashion? Amy - well the people who wore the most outrageous of these fashions of the Middle Ages would not have been doing a lot of work. Common folk who worked wore simple clothing. Just like today - how many field hands wear high heels, haha! Thanks! I just adore the ways they used to dress, not very practical for working or even just being outdoors much. If you live out in the country like me ya know what I mean. Still, I do love any chance I can get to dress up like a Lady. Thanks for sharing this. A.B.